Moonshots Capital is a seed-stage venture capital firm that invests in extraordinary leadership. Great leaders are hard to come by. We believe the best ones are military-trained or trial-by-fire entrepreneurs who have the ability to motivate others to action, inspire trust, and plan heuristically. We invest with conviction when those attributes are present. Moonshots Capital, with offices in Los Angeles and Austin, was founded by a team of veterans in 2017. We have collectively founded and operated 14 companies, and have personally invested in 69 ventures. Beyond capital, we deploy our military and entrepreneurial experience and network to help world-changing companies grow. Work with us. Go to http://www.moonshotscapital.com/. Kelly Perdew is the managing general partner at Moonshots Capital a $20M committed fund and he has previously invested over $10.5M in 60+ companies through his angel and syndicate deals. Perdew has founded or held senior executive operating roles in ten companies and his notable investment/advisory/board roles have included: LinkedIn (LNKD), Pandora (P), TrueCar (TRUE), Active Networks (ACTV), ID.me, Scopely, Fair, Olive, RideScout (DAI), Harvest.ai (AMZN), Ustream (IBM), Klout (Lithium), Fitmob (ClassPass) and Bitium (GOOG). 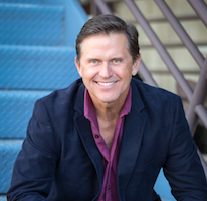 Perdew co-founded with his wife a direct to consumer consultative media agency, DuMont Project, that accelerates growth for Fortune 500 and growing venture-backed companies such as J&J, GNC, Brooks Brothers, Casper, Zillow, Hulu, Boxed, Tile, Bonobos and many more. Perdew earned a BS from the US Military Academy, West Point and served in the US Army as a Military Intelligence Officer and completed Airborne and Ranger training. He earned his JD/MBA degrees from UCLA. In 2005, Perdew won Season 2 � The Apprentice � and worked directly for President Donald Trump in NY on multiple projects and published his book, Take Command, focused on applying military leadership principles to business. He lives in Los Angeles with his wife, Dawn, and 8-year old twins � Grant and Grace. To list your Company on our website and make your profile available to Kelly and 7,500+ other VCs and Angel Investors, Click Here.